The Southern Symphony Orchestra will present a concert of “International Favorites!” at 7:30 p.m. Friday, Nov. 17, in Taylor Performing Arts Center. Under the direction of Dr. Jeffrey Macomber, the performance will feature Johannes Brahms’ “Academic Festival Overture,” W.A. Mozart’s delightful “Concerto for Clarinet and Orchestra,” featuring MSSU faculty member Dr. Cheryl Cotter, and the premiere performance of “Arirang Fantasy,” for string orchestra and piano. The latter piece is based on a well-known Korean folk song. 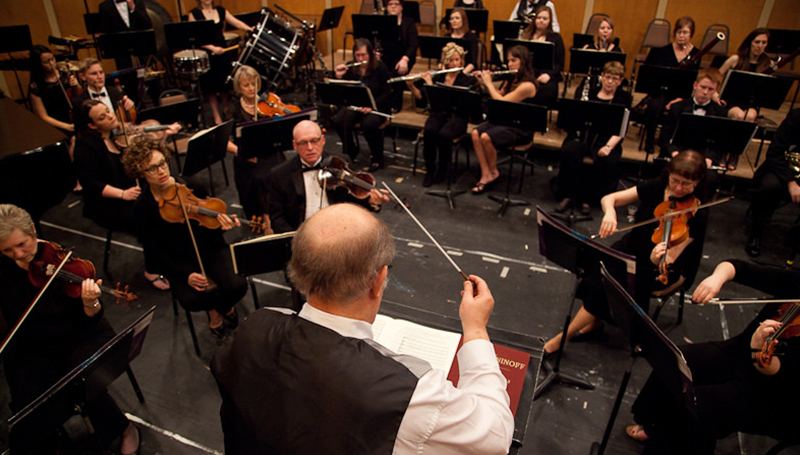 It was composed by Macomber to honor the university’s Institute for International Studies and their long-time support for the themed-semester programming by the Southern Symphony Orchestra.